In September 1996 a Frenchman, so little known in English football that fans asked ‘Arsene Who?’, walked into Arsenal. In his subsequent 20 years as manager, he transformed the club from ‘Boring Arsenal’ to a worldwide phenomenon. A total renovation of the training, stadium, style, economics, diet and the attraction of a global audience has taken place under Wenger’s stewardship. This fascinating era is chronicled in ‘The Wenger Revolution’ with distinctive photographs taken from inside the inner sanctum of the club by official Arsenal photographer Stuart MacFarlane while award-winning journalist and long-time supporter Amy Lawrence introduces each section to set the scene. When Wenger arrived from Nagoya Grampus Eight in Japan, the vast majority of the football public, Arsenal supporters and many of the players were sceptical. Could a foreign manager succeed in England? Although he was new to almost everyone in the English game, Wenger, 46 at the time, didn’t see himself as a novice. His intellectual rigour, workaholic determination and human touch gave him the value of using his own ideas with an open mind. 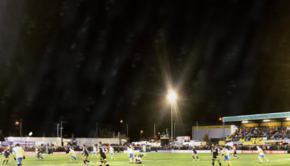 That manifested itself in the way the team evolved. By using English players with a never-say-die attitude like Tony Adams and Steve Bould, as well as the technical refinement that arrived with the likes of Patrick Vieira and Marc Overmars, Wenger’s mix came to fruition. The most surprising thing for many people when they look back at Wenger’s first full campaign in England, was how quickly the team’s style came together. Wenger’s ability to identify and recruit outstanding talent was paramount in them winning the double in the 1997-98 season. That general air of scepticism about the manager soon evaporated. To complete an unbeaten season at the highest level was an ambition Wenger had harboured for many years. During the 2002-03 season, Arsenal were the dominant force in the early stages. However, with his team going strong in autumn, Wenger told journalists in a pre-match press conference that his team could go a season unbeaten. “It is not impossible,” he said. 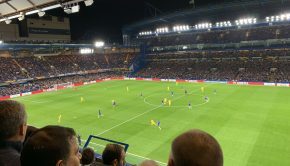 However, Arsenal lurched suddenly into a first defeat of the campaign, and the critics who thought Wenger was arrogant and disrespectful relished that loss. 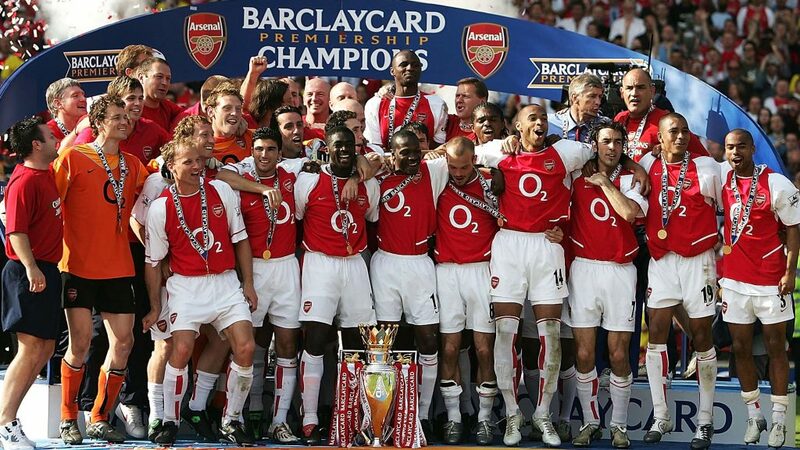 After missing out on the Premier League title that season, Arsenal rallied the following year and dominated the league. Their 2-2 draw at arch-rivals Tottenham ensured they won the league and with four games to go, Wenger’s dream was near reality. Here was the chance to make history. “Make yourself immortal,” Wenger told his players. The players didn’t miss their chance. Trailing at half-time to already relegated Leicester City in the last game of the season, the pressure was on. The team’s outstanding will-to-win, and the class of some of its most talented components – Thierry Henry who scored the equaliser and Vieira and Bergkamp who combined for the winner – made the difference. Wenger does not think anyone will be able to emulate the class of 03-04 as the competition is much harder, but Arsenal’s ‘Invincibles’ seized their moment. His controversial prediction that it was possible, mocked at the time, became a beautiful truth. Wenger is one of a handful of managers who can be said to have made a truly lasting impression on the Premier League. Throughout his time at Arsenal, Wenger has revolutionised the club. With the Frenchman at the helm, they have moved from Highbury to the Emirates, built a new training ground at London Colney whilst also winning numerous of trophies, including three Premier League titles and six FA Cups. 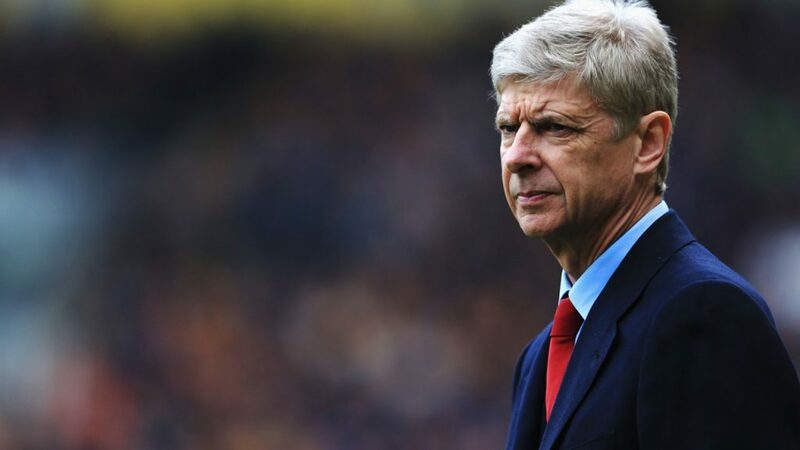 But despite the many highs Wenger has experienced, he has also suffered much heartbreak. According to the Frenchman, the Champions League final defeat in Paris against Barcelona in 2006 will forever hurt him. “It is my biggest regret,” he says. “I feel there was not much in it. 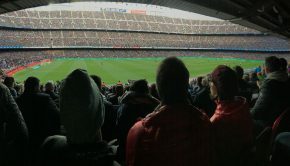 The regret on the night is that we could not get the second goal. Wenger typifies longevity and loyalty. Despite getting offers from the biggest clubs in the world such as Real Madrid and Bayern Munich, he has stayed put. When trophies were hard to come by after the stadium move and competition was harder due to the influx of money put into the Premier League, Wenger remained loyal and consistently got Arsenal into the Champions League each year. Yet he was not delivering the trophies that Arsenal fans craved, and as the voices of dissent grew louder, the FA Cup win against Hull City at Wembley in 2014, was a huge moment in the club’s history. “Winning this FA Cup was an important moment in the life of this team. When it comes after a long time it sometimes comes with suffering. We had such a feeling of relief and happiness,” Wenger said. After back-to-back FA Cup wins in 2014 and 2015, Wenger’s hunger for winning trophies hasn’t diminished. He now has a team capable of challenging the big guns and he insists his commitment to the club is still the same as when he first started. The book achieves what it sets out to do. 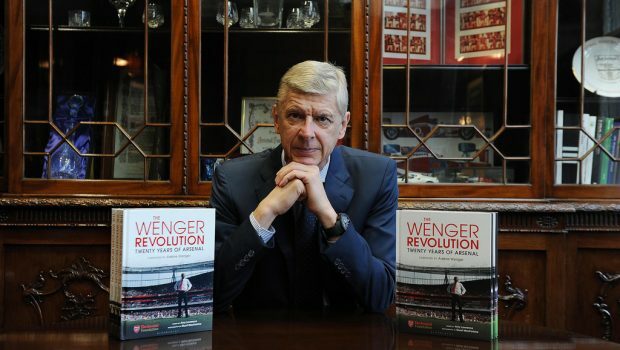 With the words of Lawrence and the images of MacFarlane, ‘The Wenger Revolution’ is a must-buy for Arsenal fans – but even non-Gooners will find it fascinating. 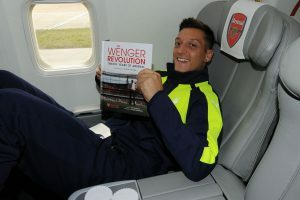 The book’s 11 chapters each focus on a different theme or period at Arsenal under Wenger. From his arrival to the stadium move to his opinions of current and former players, the book recounts every minor detail of Wenger’s reign. His vision for Arsenal was in place when he first arrived, and since then the club has gone on a remarkable journey and achieved great feats. Much of this would not have been possible without the determination and ambition of one man: Arsene Wenger.